"This report confirms once again that cutting down trees and burning them as wood pellets in power plants is a disaster for climate policy, not a solution," said David Carr, General Counsel of the Southern Environmental Law Centre in the US. "Forests in our region, the south-east US, are being clear cut to provide wood pellets for UK power plants. The process takes the carbon stored in the forest and puts it directly into the atmosphere via the smokestack at a time when carbon pollution reductions are sorely needed." Rigorous wood harvesting and forestry regulations in Europe have forced European power companies to look abroad to source these wood pellets. The largely unregulated forests in the Southeastern US have become the EU’s and UK’s top source of woody biomass, where the manufactured wood pellets are then shipped across the Atlantic Ocean to be open-air incinerated in EU and UK power plants. US wood pellet exports totaled 4 million short tons in 2012, and US production is estimated to increase to 18 million tons in 2020 to meet anticipated worldwide demand. The production in 2017 was 11 million short tons. This increased demand is putting great pressure on Southeastern US plantations as well as natural forests that are critical habitats for numerous imperiled or endangered species. Serve as a habitat for thousands of species, many of which are imperiled and endangered. 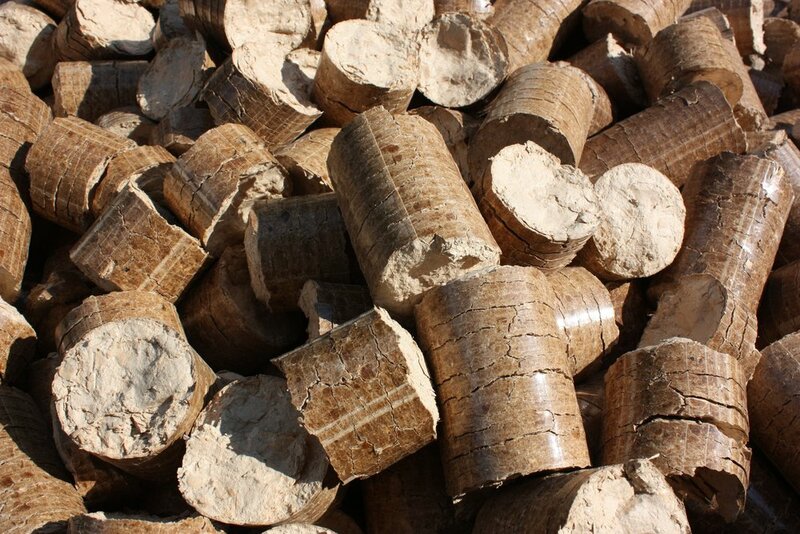 It was also long held that the wood pellet carbon calculation for the utilization of wood for electrical generation consisted of only the carbon expended in harvesting, processing, and transporting the wood. The calculation did not include the carbon given off in the combustion process like how coal is calculated. It was assumed that other trees re-absorb the carbon released from combustion through the process of photosynthesis. However, the current prevailing theory among scientists is that these original assumptions were flawed due to the importance of time between carbon release and absorption. The carbon released through combustion occurs very quickly. However, it can take decades for trees to mature and “repurpose” the emitted carbon. As a result, the traditional carbon calculation of wood pellets is flawed. The Chatham House states that woody biomass “when burnt, emits more carbon per unit of energy than most fossil fuels” including coal. Furthermore, the UK’s largest electrical generator of electricity via wood pellets, Drax power station, reported CO2 emissions from wood was 13%, per unit of electrical production, higher than that of coal. Biorefineries are located near US wood-baskets in economically struggling rural American towns, where locations are selected based on readily available woody biomass and existing utility and transportation infrastructure. Responsible wood management is rigorously implemented with biorefineries to harvest plantation wood (that was previously harvested and replanted with the intent of future harvesting) rather than clearing natural forests. To obtain financial production incentives provided by the EPA’s RIN program, Biorefineries must monitor and register the source of all woody biomass. Unlike pellet operations, SynSel Biorefineries are not required to populate on coastal areas to facilitate exporting of pellets via ocean marine freight. SynSel targets previous industrial sites with rail to transport fuel and wood to and from the interior. Economic Efficiency: What phenomena has not been analyzed is the future impact of subsidies from EU and UK countries going away: When the detrimental impact of wood pellets on Climate Change is recognized. Wood utilized for pellets is already the “low value” alternative for wood due to economic inefficiency of converting wood to electricity. The same amount of wood going into a SynSel plant would produce 170% greater energy revenues without subsidies. Furthermore, wood for transportation fuel is a “high quality” energy since the caloric content is “stored”. Electricity on the other hand, must be consumed as it is generated. Ironically, this often works against a utility infrastructure using wind and solar electric since those energy sources must be used in parallel with “dispatchable” electricity that can be called upon instantly upon need. Energy Conversion Efficiency: Much greater energy efficiencies in the EU and UK can be achieved with the utilization of solar to create electricity versus wood. It has been calculated that only ¼ of 1% of a tree’s solar footprint is converted to electricity. Today’s solar-to-electric panels have achieved 20% efficiency: solar panels are 80 times more efficient in creating electricity. The EU and UK would be much better served by utilizing solar and wind-to-electric than burning wood. National Energy Security: A SynSel plant consumes 1000 dry metric tonnes per day of woody biomass. If the USA is exporting 11 million dry metric tonnes per year of pellets, that is enough to support 30 SynSel plants or about 1 billion gallons per year of the highest quality synthetic fuel and blending stock. Community Resiliency: By compromising hardwood bottom land forests, sending wood, fuel and jobs overseas, local communities are negatively impacted. If the woody biomass was utilized for a SynSel plant and the accompanied Enviro Industrial Park, communities would be self-sustaining by comparison. 30 SynSel plants in the Southeast would create 10,000 additional direct and indirect jobs. The waste heat from these biorefineries supports the Enviro Industrial Parks which could more than double jobs and further improve self-sustaining capacity of local economies. Climate Change and Health: Combusting wood to create electricity has more CO2 emissions than burning coal. But that is not the big story. If the wood were used to create SynSel-type fuel that reduced greenhouse gases by 90% in lieu of electricity, it would be the same as taking 1.3 million cars operating on fossil fuels off the road in the Southeast USA where the SynSel plants would be located.